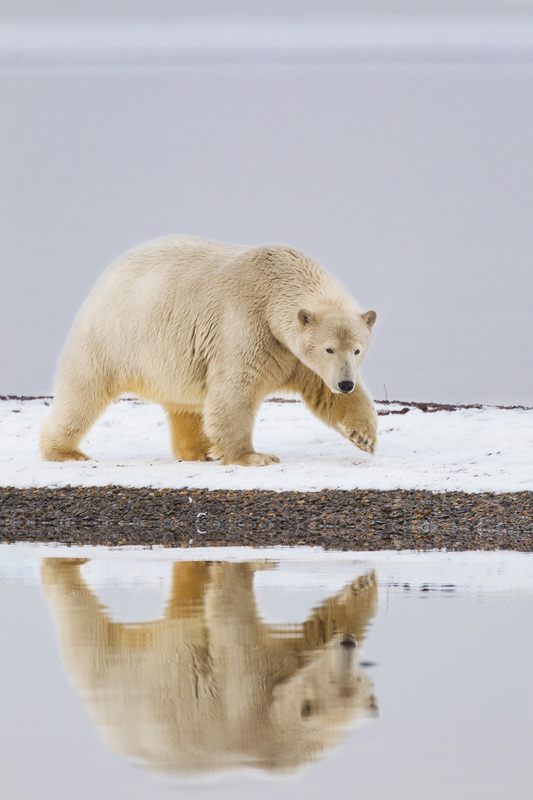 Have you dreamed of seeing and photographing polar bears in their home on the edge of the Arctic Ocean? 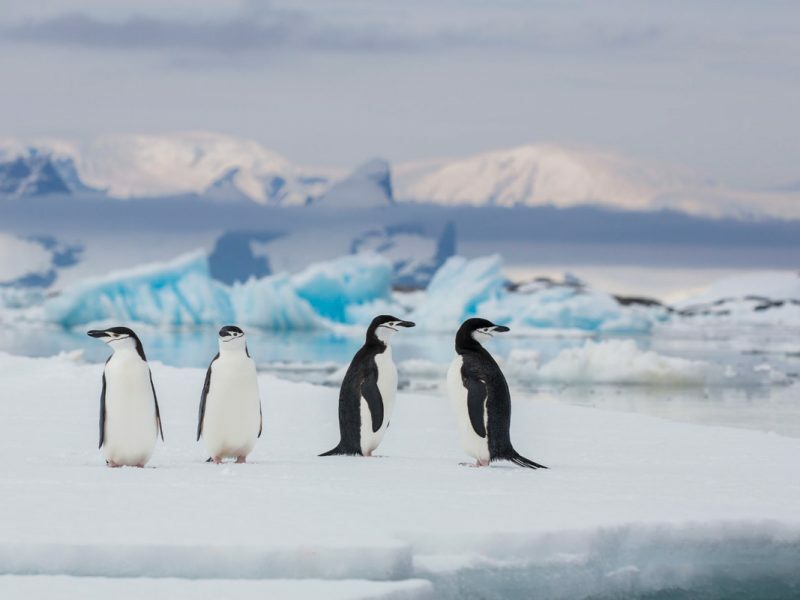 This trip takes you into the realm of the arctic’s top predator, to observe and photograph these magnificent creatures of the north on their terms! Steve Kazlowski will be your guide for this extraordinary adventure. 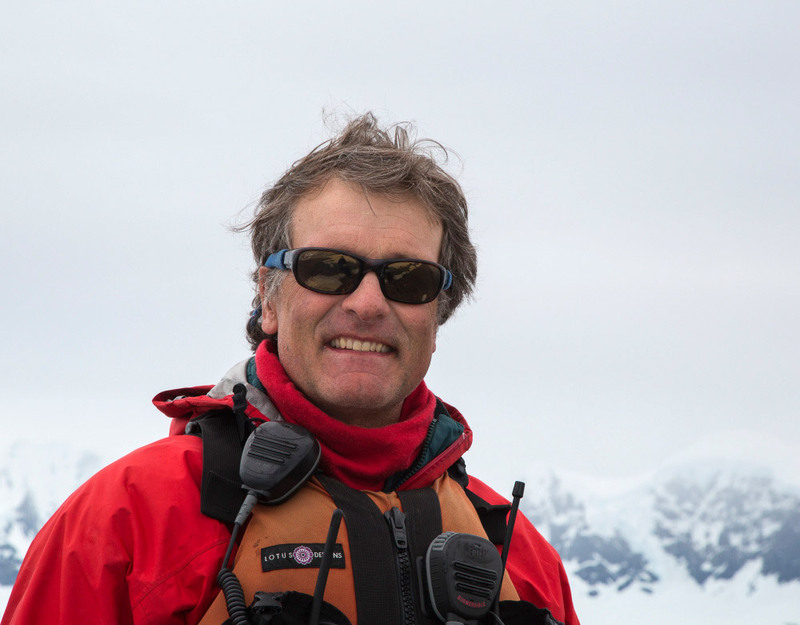 Steve’s extensive knowledge of the polar regions and many years of photographic experience make him the perfect guide for this journey! Custom dates/trips can be organized. Contact us for more info. Travelers arrive in Fairbanks after flights from lower 48 states or other Alaska destinations and are transferred from the airport by Pikes Landing Waterfront Lodge van. Hugh will meet all participants at Pikes Landing at 6:00PM for orientation and welcome dinner at a local restaurant. 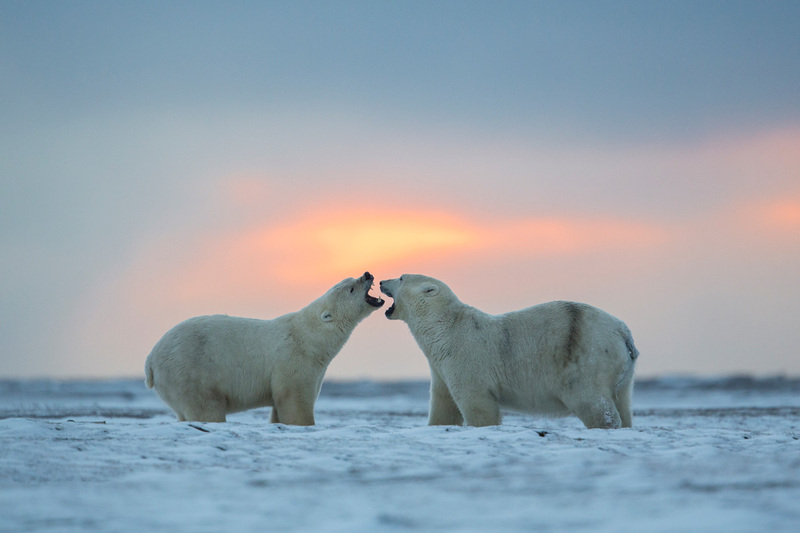 At dinner we will discuss the trip itinerary in detail and talk about polar bear and northern lights photography technique. Your first night will be spent at the comfortable Pikes Landing Lodge in Fairbanks. During this first night in Fairbanks keep your eyes open for aurora borealis! Pikes Lodge offers a northern lights “Wakeup Call” and a decent place to view and photograph the aurora on the banks of the Chena River is located behind the lodge. After breakfast at Pikes Hotel we will make the short trip to the airport and catch our early morning flight north to the arctic coast. The flight takes roughly 1 ½ hours and crosses the entire northern half of Alaska. We will fly over landmarks such as the Yukon River and Brooks Range mountains on our way to the arctic coast and the village where we will be viewing and photographing the bears. Luggage weight and size will be restricted on this flight to 100 pounds total per person in two bags (including camera gear). So everyone will consolidate their gear and take only what is needed for the next four nights on the arctic coast. Gear should consist of necessary camera equipment and medium sized duffel for toiletries, clothing, and cold weather gear (We can supply appropriate sized duffels for anyone who needs one). Arctic weather conditions will be encountered, so suitable clothing and gear will be needed, please see the gear list at the end of this itinerary for what is necessary. In addition Ron will review everyone’s gear in Fairbanks after the orientation dinner to ensure that everyone is appropriately equipped. Upon arrival in the Native Village at roughly 10:30 AM we will be met at the village airstrip by Steve Kazlowski* a well know arctic photographer who’s boat we will be making excursions on for the rest of the week. A bus will transport us to our accommodations for the next four nights. Although our lodgings are not luxury, what they lack in appearance is made up for in hospitality and a certain charm. Built from modular oilfield camp buildings the Inn is basic yet comfortable. Accommodations are in double rooms with twin beds, bathrooms with showers are located down a short hall all rooms are double occupancy unless otherwise arranged in advance (extra cost). All our meals are prepared and eaten in the café located on site and are always hearty and tasty! Our schedule will depend on weather and individual interests, but the best photography tends to be early in the morning and later in the evening (sunrise is roughly 6:45 AM and sunset is roughly 7:00 PM at this time of year with a 9 minute loss of daylight daily! We will schedule our meals around our photographic forays. The remainder of this day we will settle in and get oriented with our surroundings and then head out to observe and photograph the bears! 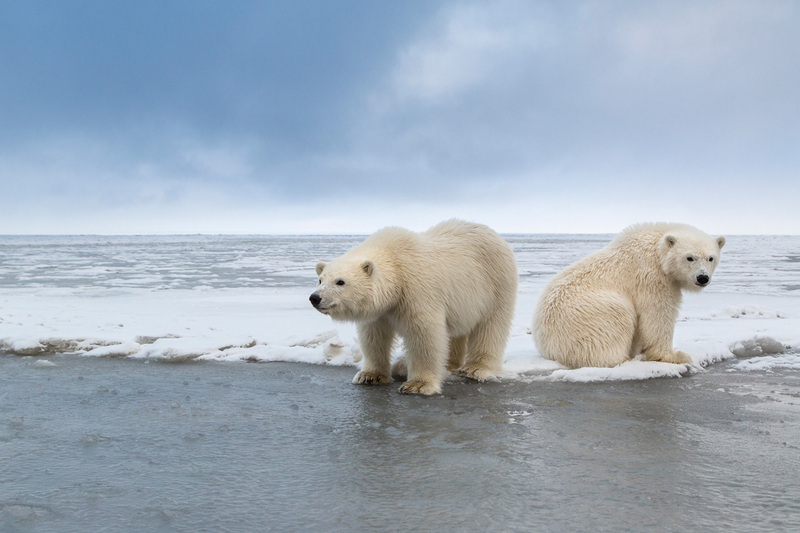 Steve Kazlowski is a veteran of 14 seasons photographing polar bears in the arctic and has worked on many photography books on the arctic and polar bears including “The Last Polar Bear”, and “On Arctic Ground” a recently published book on the National Petroleum Reserve-Alaska (NPR-A) that Steve and I (Hugh Rose) both contributed photos to. 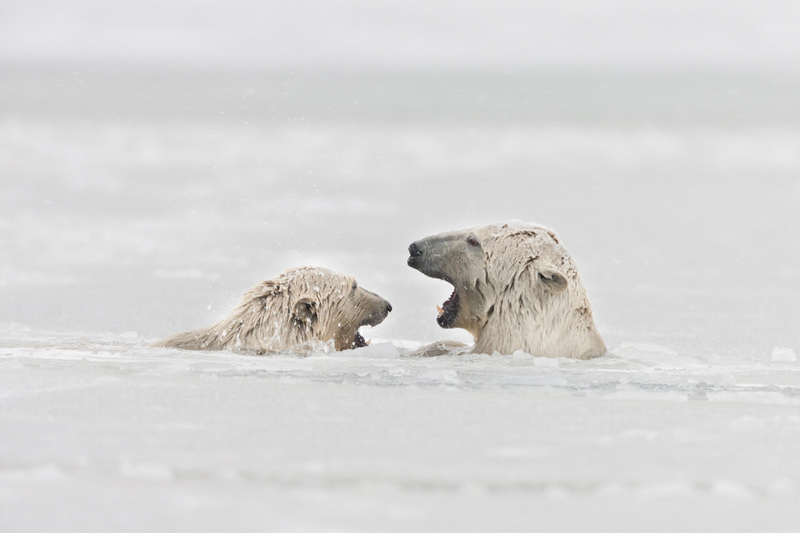 Steve and I have known each other for many years and spent many hours together photographing and observing the bears. 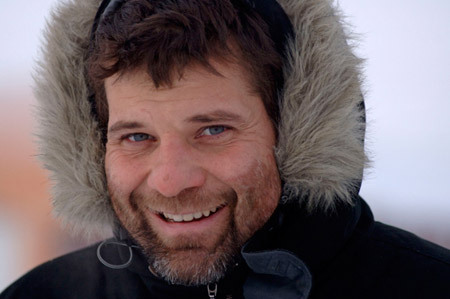 Steve has also guided many photographers in the arctic and in my opinion is one of the most experienced photographers in this field. 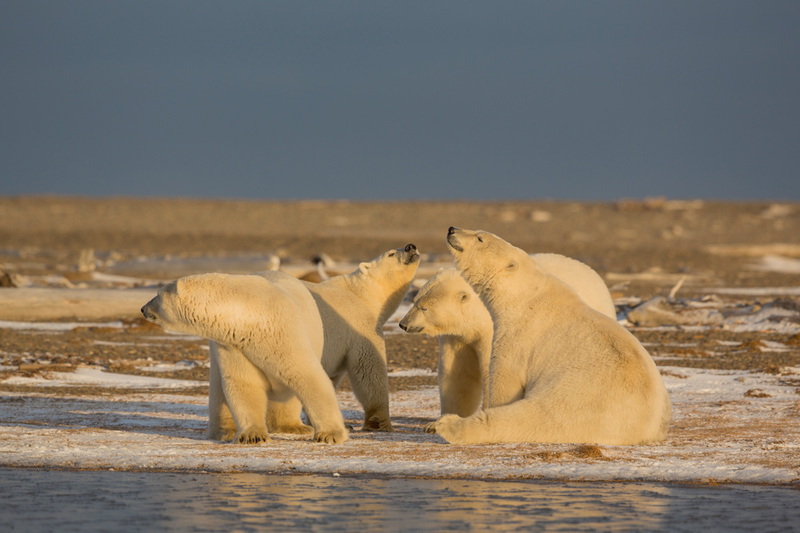 Steve has spent thousands of hours boating in the Kaktovik area to photograph polar bears and has teamed up with Kaktovik resident Jack Kayotuk to provide boating services for our group. 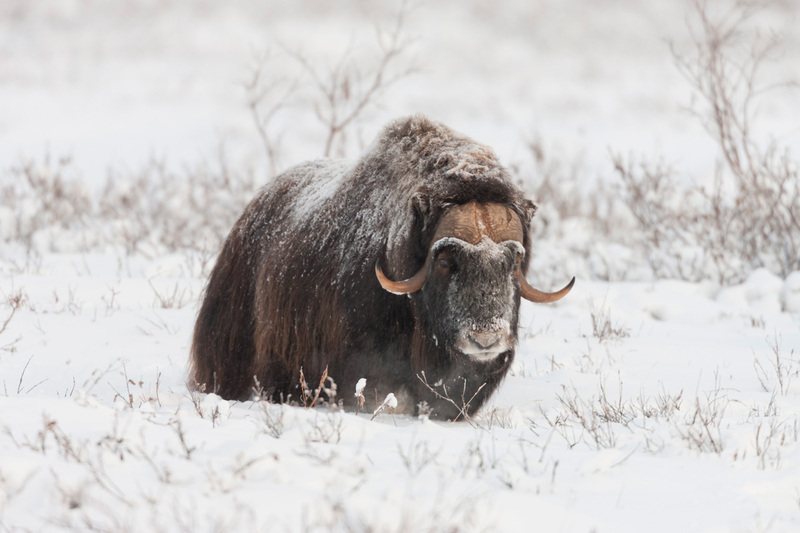 You will be visiting a native village inhabited by approximately 250 Inupiat “Eskimo” people who are endemic to this region of arctic Alaska. The village is located on a small 3 mile by 2 mile island just off the arctic coastline. This Island was an important stop for whalers at the turn of the last century, but did not become a permanent settlement for the semi-nomadic Inupiat people until 1923 with the establishment of a fur trading post by a Nantucket whaler who married an Inupiat woman. The island is characterized by a large saltwater lagoon that is located on the east side of the island and provides a sheltered anchorage for the village fishing boats. The downtown consists of a cluster of homes built on the barren tundra approximately one mile from the village airport. 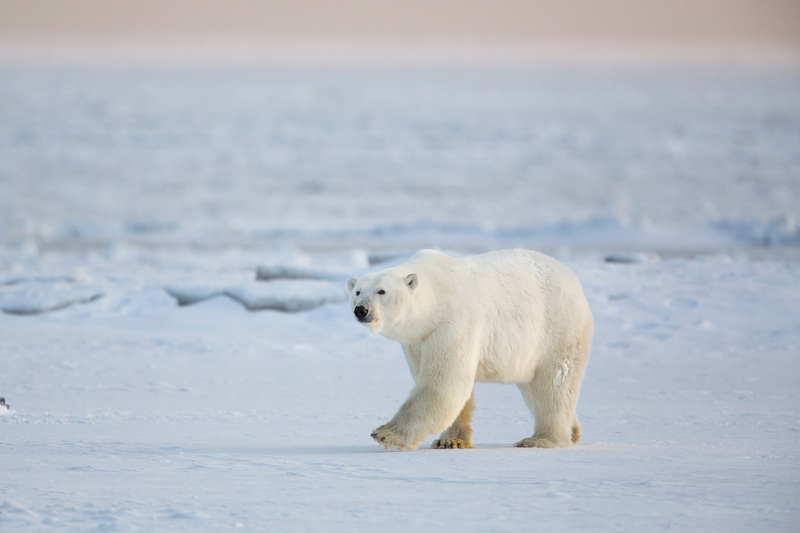 There are limited roads and vehicles located in this village, but a vehicle is necessary for travel and photography of the polar bears. We will have the only rental bus available and although it may not be pretty it will be sufficient for the purpose. Keep in mind that we are visitors from a different culture to this village, and our sense of time and schedule may be different than the resident’s. Experiencing the culture of the Inupiat is as much of an experience as watching the polar bears! Please keep in mind that you must respect the native people and their property. This means only taking photos of people or property after asking permission. 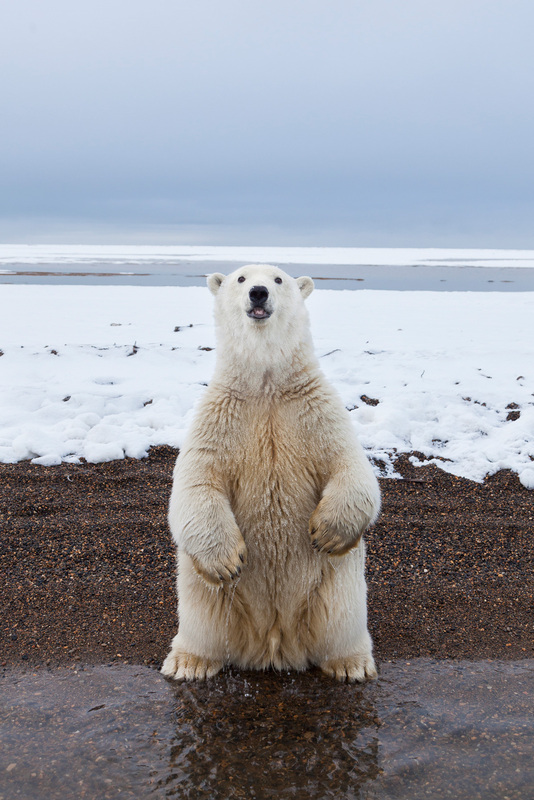 Why are Polar Bears (Nanook) here? The circumpolar indigenous people of the world have been hunting marine mammals and whales for thousands of years and the Inupiat of Alaska are no different. In a very tightly controlled hunt, arctic coastal villages are allowed to hunt the bowhead whale, which frequent the waters of the adjacent Beaufort Sea/Arctic Ocean. A whale harvest quota is awarded to each village according to number of residents and the historic harvest. 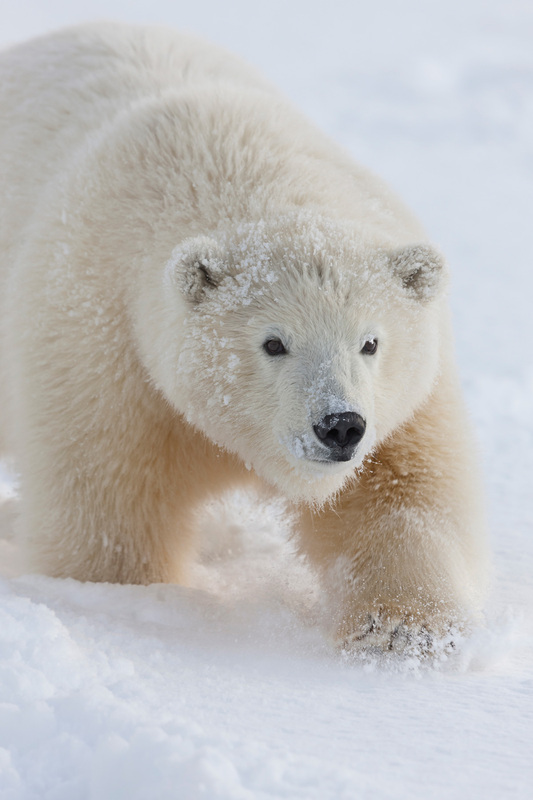 The Inupiat name for the polar bear is “Nanook” or “Nanuq” and the domain of Nanuq is not the beaches and tundra of the arctic coast, but the pack ice that covers the sea surface for 9 months of the year. Polar bears feed mainly on seals that live on and under the arctic ice, hunting them using a number of different techniques. Like their cousins the brown bears from whom they evolved, during times of hunger, polar bears can be opportunistic and will feed on whatever food opportunities appear. Other food sources can include vegetation such as grass, small rodents, bird eggs, other marine mammals and scavenging on carrion. 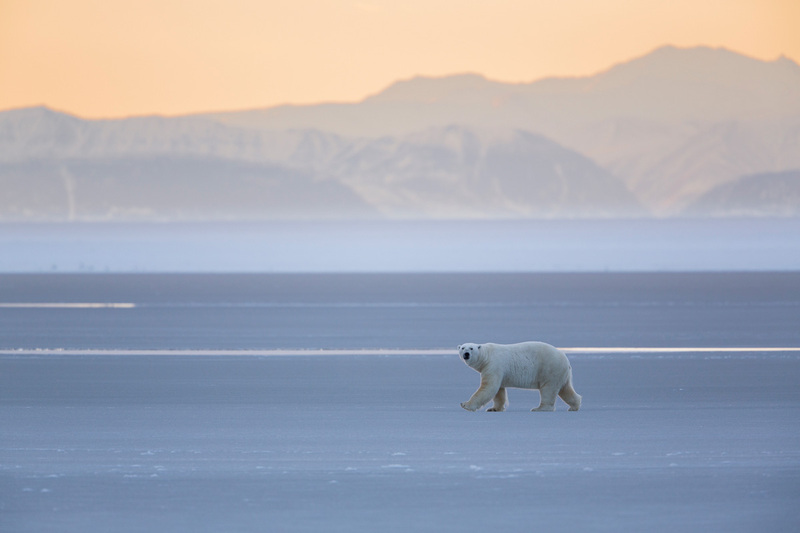 Polar bears are attracted to this area to scavenge on the carcasses of butchered whales, and begin to arrive here before the annual whale hunt begins on Labor Day each year. In mid summer when the arctic pack ice moves off shore, Beaufort Sea polar bears are often marooned on shore where there is little to eat. These bears enter the fall season hungry from lack of readily available food and have keyed into the presence of whale carcasses in this area starting in September. A bear’s memory is so good they will remember the time and place where food was available and return to that same spot the next year at the same time. 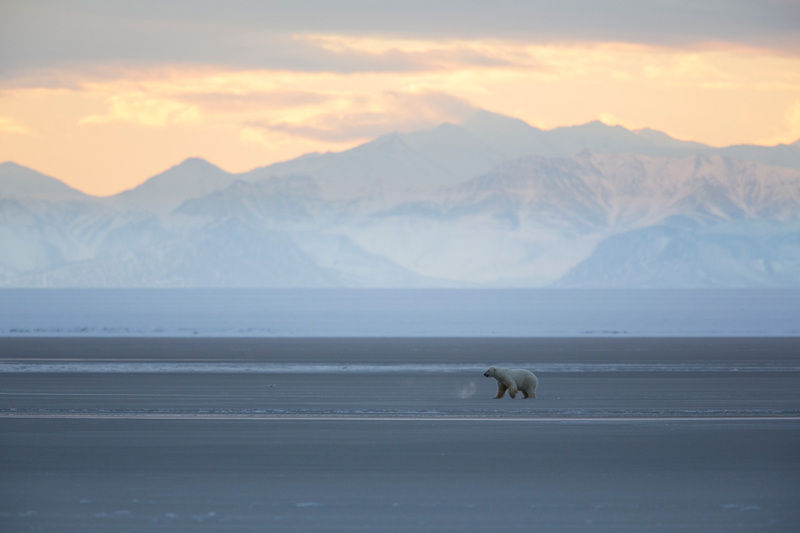 The bears typically arrive in late august before the whale hunt begins, and will scavenge on the remains of whale carcasses from previous year’s hunts. We will be visiting this area after the annual hunt is typically finished. If bad weather has delayed the whale hunters you may be fortunate enough to witness the community event that surrounds the harvesting of a whale. We have a 3 hour boat ride scheduled for this afternoon and will spend additional time on land watching and photographing the bears. 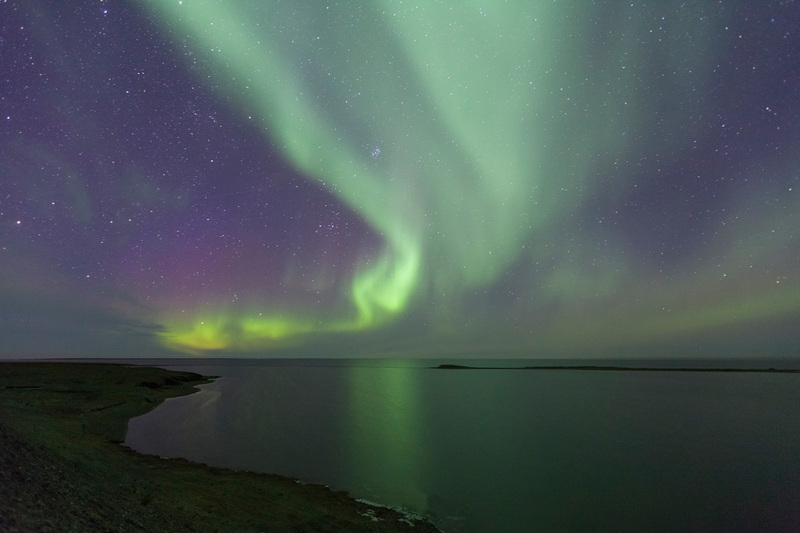 Weather permitting we will venture out in the evening to look for and photograph the northern lights. A 3 hour morning and 3 hour afternoon boat ride is scheduled for all three of these days with additional time spent on land photographing bears or searching for arctic foxes and snowy owls. Conditions permitting we will look for and photograph northern lights after dark. A final 3 hour boat ride is planned for this morning, giving you one last opportunity to photograph the bears from the water. After lunch the return flight typically departs at 3:30 PM leaving much of the afternoon for a final foray on land to photograph and observe one of the largest predators found in the arctic. After the 1 ½ hour flight back to Fairbanks over the Brooks Range you will be met at the airport for the shuttle trip back to Pikes Hotel. Dinner this evening will be on your own and can be found at Pikes Waterfront Restaurant next door or at a number of other fine restaurants located close by. After breakfast you will be transported to the Fairbanks airport for your flight home. Airport transfer in Fairbanks on days one, two, six and 7. All accommodations in Alaska from night one to night 6, including; Fairbanks and Native village. All meals from dinner on day one to breakfast on day 7, with the exception of dinner on night 6. All transportation on the trip including airline flight to Native Village. * In the unlikely event that our flight from Kaktovik is altered or cancelled due to weather, an additional fee of $450 per person will be charged for each additional night we spend in Kaktovik. 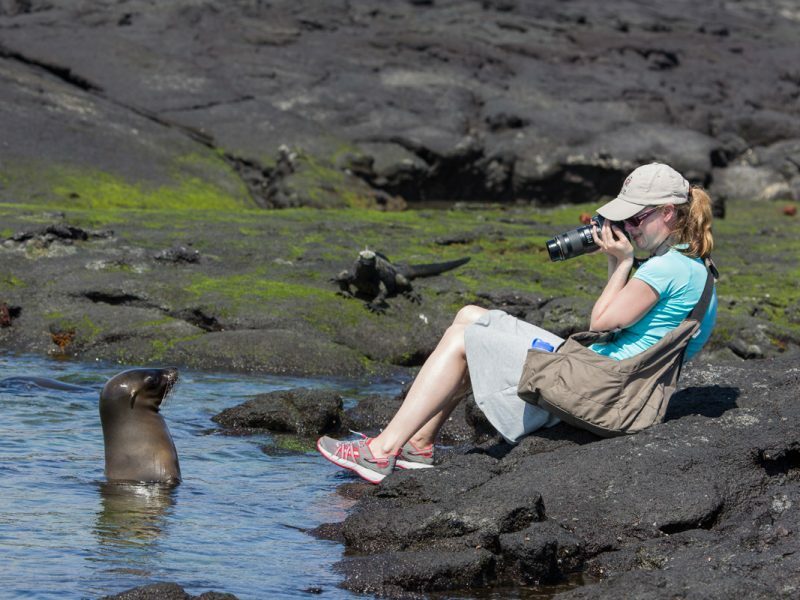 This fee covers our accommodations and allows us, in spite of the uncontrolled circumstances, to continue photographing. We apologize in advance if this additional fee becomes necessary, but travel in Alaska’s Arctic can involve extreme weather. Alcoholic beverages are neither included nor served in Native Villages. Money for purchases of souvenir items. Cost of any additional boat rides beyond the 24 hours provided for the trip. Charge for Extra nights spent in Kaktovik due to weather induced flight cancellation. Cancellations, excluding the $1000 deposit, subsequent payments are refundable until May 15th. Refunds for cancellations after May 15th are not guaranteed. For this reason, and for medical emergencies, we require trip insurance. If we can fill the space with another booking we will refund the payments (minus small fees for booking changes with our vendors). 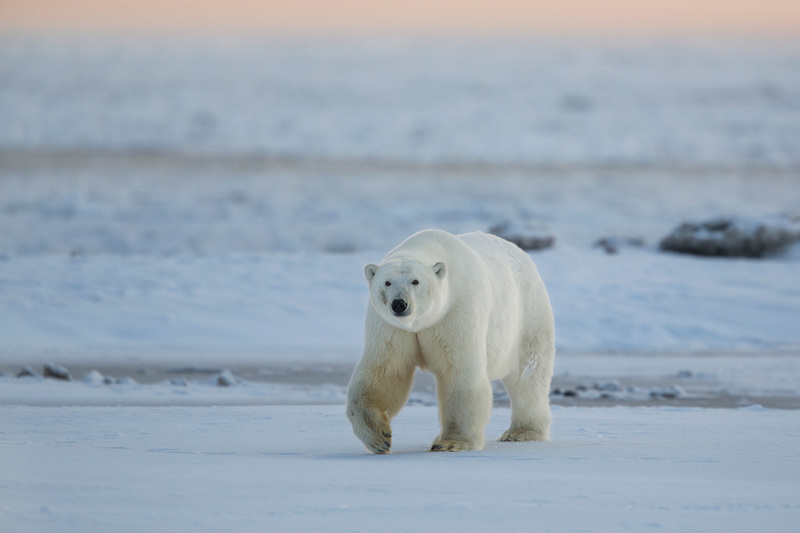 Why are polar bears near this village? The Inupiat village is on a small island just off the arctic coastline. 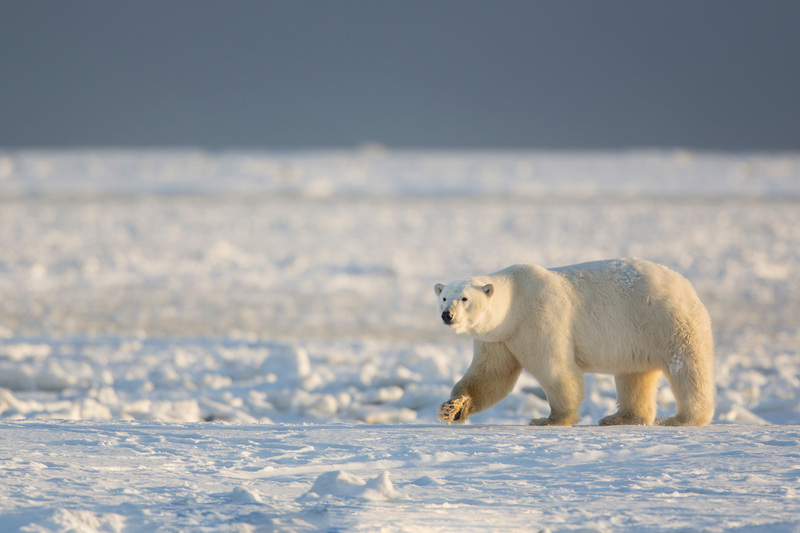 The Polar Bear domain is not the beaches and tundra of the arctic coast, but the pack ice that covers the sea surface for nine months of the year. 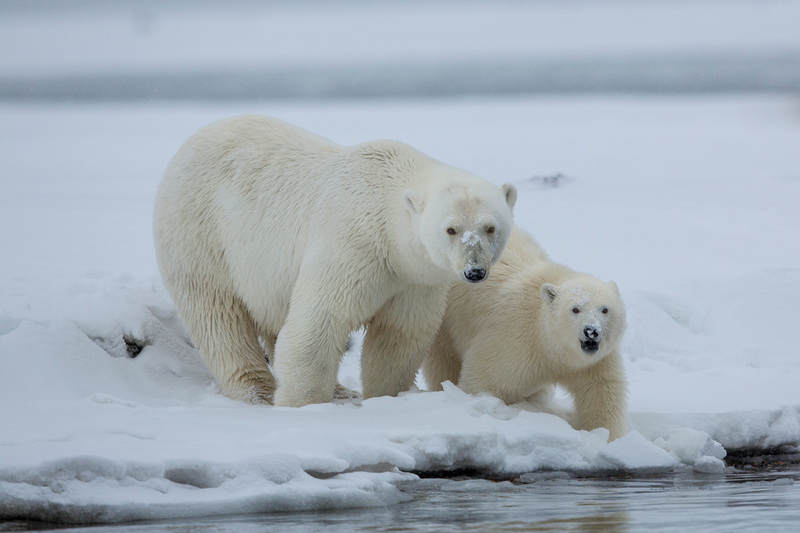 Polar Bears feed mainly on seals that live on and under the arctic ice, hunting them using a number of different techniques. 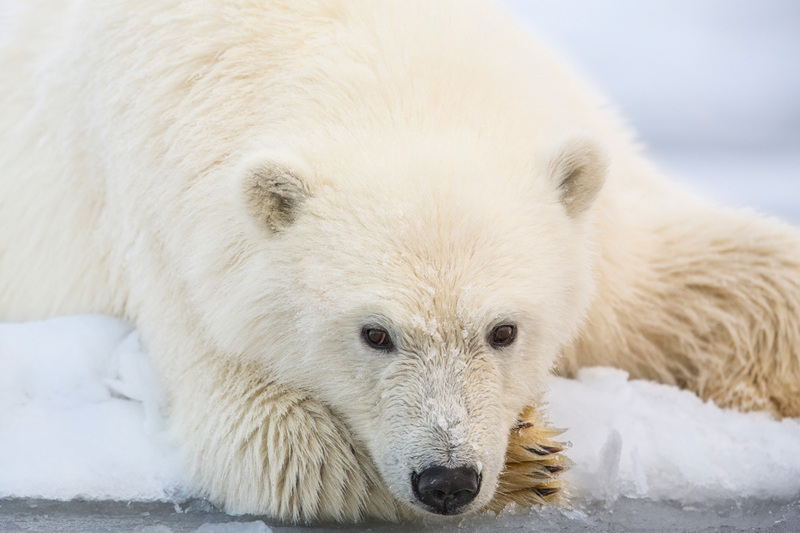 When food is scarce, Polar Bears are opportunistic and will feed on whatever food sources are available, including vegetation, small rodents, bird eggs, other marine mammals, and carrion. 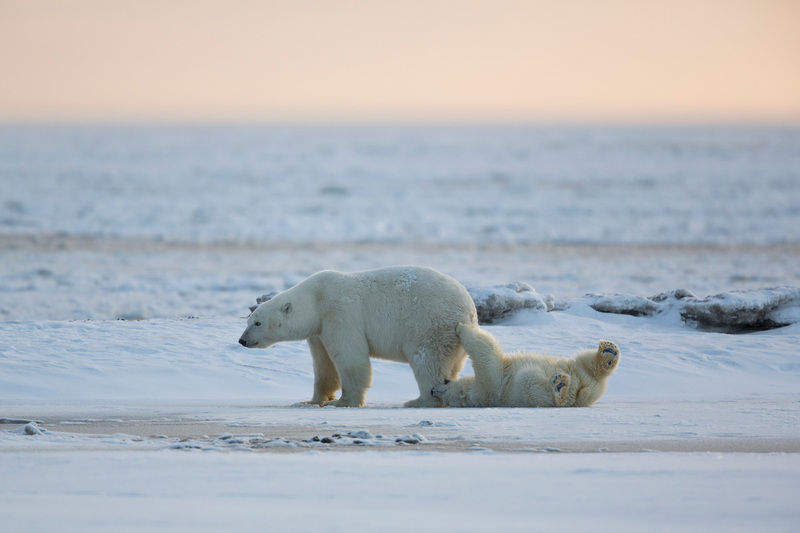 Polar Bears come to the area around the village to scavenge on the carcasses of butchered whales. 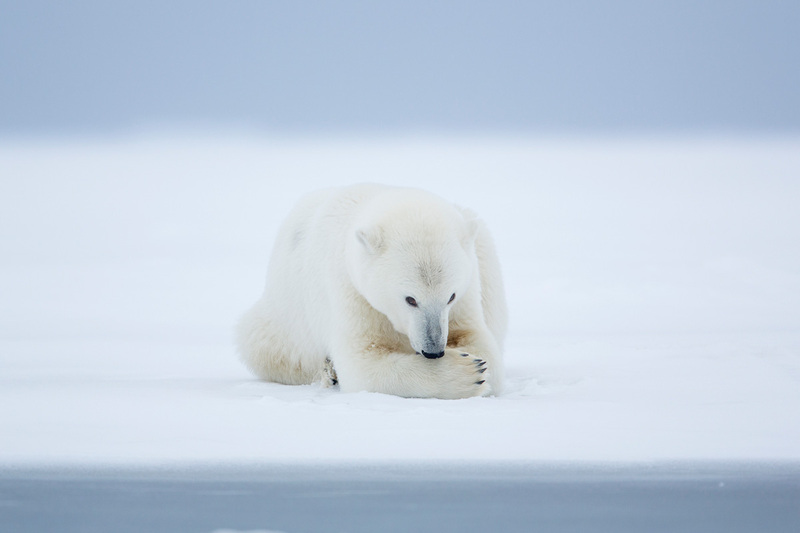 In mid-summer when the arctic pack ice moves off shore, Beaufort Sea Polar Bears are often marooned on shore where there is little to eat. These bears enter the fall season hungry and have keyed into the presence of whale carcasses from Inupiat hunts in this area. Does this tour have a cultural aspect? The Inupiat village we visit is inhabited by approximately 250 people native to this region of arctic Alaska. 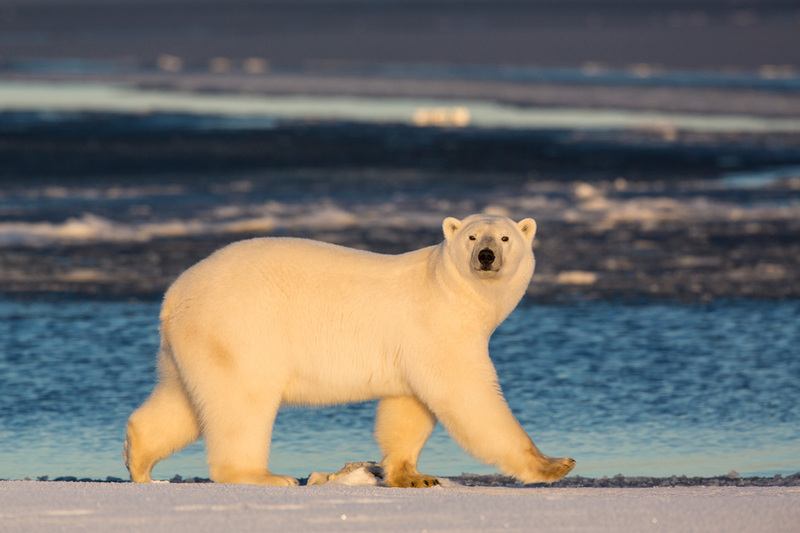 We look forward to experiencing the culture of the Inupiat as much as observing Polar Bear. We will be visiting this area during the annual whale hunt and, if we are fortunate, we may witness the community event that surrounds the harvesting of a whale. Keep in mind that we are visitors from a different culture; we will take care to exercise cultural awareness and may not be able to photograph all the people involved, but we can ask where photos are permissible.The circumpolar indigenous people of the world, including the Inupiat of Alaska, have been hunting marine mammals for thousands of years. Under tight regulation to sustain resources, arctic coastal villages are allowed to hunt the Bowhead Whale that frequent the waters of the adjacent Beaufort Sea/Arctic Ocean. When is aurora observation best? Peak aurora activity is statistically around solar midnight (2:00am, Alaska time), so aurora photography means staying up late into the night. Aurorae can occur at any time of year and are often fickle and transitory, but activity tends to peak around the equinox when Alaskan nights are just getting dark long enough to allow viewing, making September an ideal time of year to photograph the Northern Lights. September weather can be winter-like and temperatures could range significantly. Keep in mind the Arctic has ever-changing weather with temperatures that can swing from below freezing to warm in a matter of hours.Expect daytime temperatures in the 40’s °F (5–10 °C), though perhaps as high as the 60’s °F (15–20 °C), with nights below freezing. Both rain and snow are possible as well. Dressing in layers with a waterproof outer shell is best and you can remove or add layers as the temperature dictates.